1. Preheat oven to 350 degrees Fahrenheit. 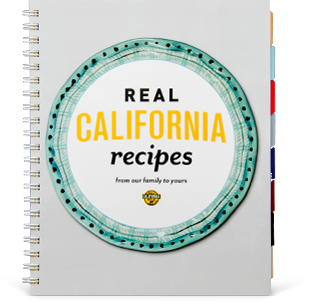 Grease a 9-inch baking dish with 1 tablespoon Real California butter. 2. Using a serrated knife, cut the dinner rolls in half. Place the bottom half of the rolls in the baking dish. 3. Add a layer of Real California Monterey Jack cheese slices, then a layer of turkey. 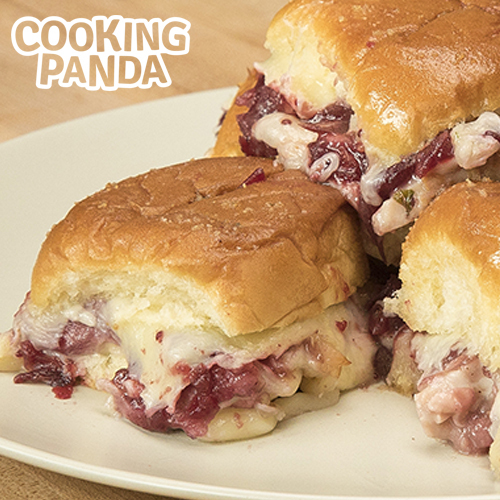 Top with cranberry sauce and remaining Real California Monterey Jack cheese slices. Place the top half of the dinner rolls on top. 4. Microwave 3 tablespoons of Real California butter in a small bowl until melted. Mix with garlic powder and brush over the tops of the rolls. 5. Bake for 20 minutes, or until top has browned and cheese has melted. 6. Remove from oven, serve and enjoy!